Zimbabwe’s army chief has warned President Robert Mugabe to end the purge in the country’s ruling Zanu-PF party, threatening to step in. The warning came a week after Mr. Mugabe fired his deputy, Emmerson Mnangagwa, a move widely seen as meant to clear the path for Mr. Mugabe’s wife, Grace, to become president. Mr. Mnangagwa, a former defence minister, was once seen as a possible president. He has since fled into exile. On Monday, Army Chief Constantino Chiwenga, a general, told a news conference attended by 90 senior army officers that the removal of people who were involved in the independence struggle, like Mr. Mnangagwa, would not be tolerated, the BBC reports. 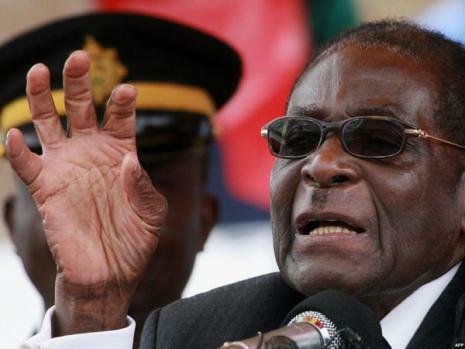 Although he did not mention the president by name, the warning is understood to be directed at the 93-year-old Mr. Mugabe. “The current purging which is clearly targeting members of the party with a liberation background must stop forthwith,” the general said. He said the “squabbling” between politicians had led to “no meaningful development in the country for the past five years”, the BBC report says.